Thanks to everyone who’s expressed their support and condolences for me and my family. Even though I haven’t responded to all of them, your calls, messages, texts, mean more than words can express. I am so very thankful. 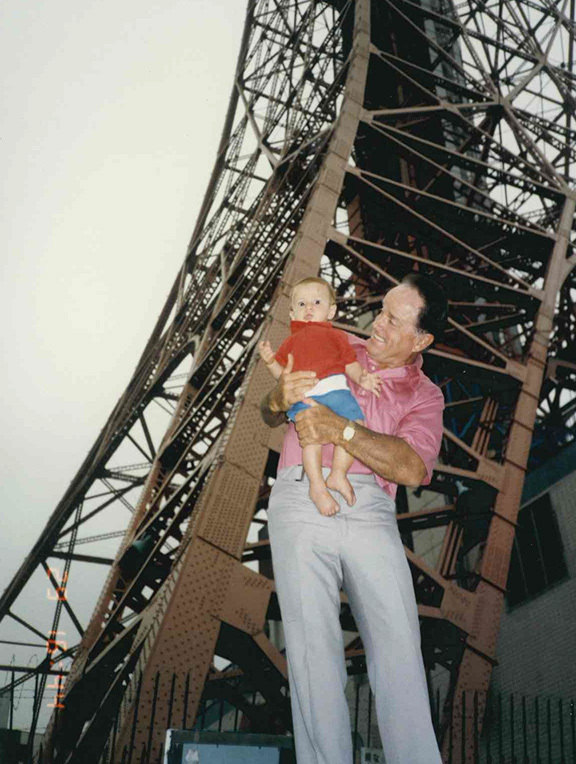 At around 12:30PM on Wednesday, 10/10/2012, on my 27th birthday, my father Jim Flood left to be closer to God. The memorial service/tribute to life is tomorrow afternoon, Thursday, 10/18/12 from 4:00 to 6:00pm at La Jolla Country Club. 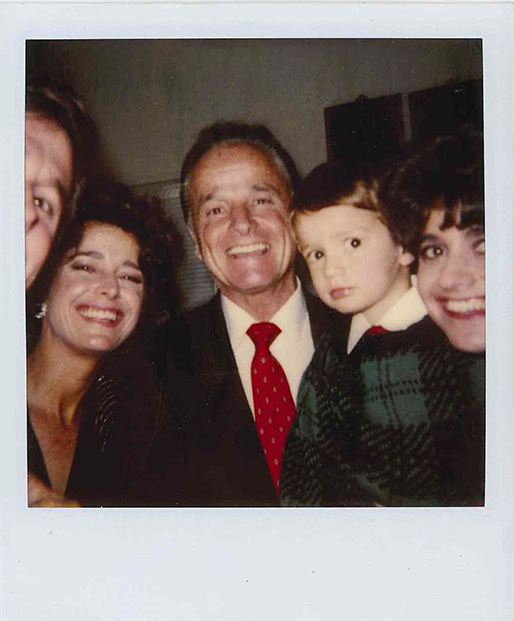 He was present among all of his loving children and his passing was quick and peaceful. We all spoke our last words to him and they asked us if we were ready to remove the mechanical ventilation. My sister and I held each of his hands and told him over and over how much we loved him. He was heavily sedated, but his eyes opened and he made the most gentle of winks. I can’t imagine what he was thinking or feeling at that moment. He had such a loving heart and to sever the bond we shared was unthinkable. After his pulse had ended the nurse told me he had passed and soon after everyone began to meet outside to discuss the situation and talk about cremation, the memorial, etc. But I couldn’t pay any attention to any of it. I went back to his hospital bed and laid my head against him and held him for hours. I never wanted to have to wake up…. And so, there we were. Just us again. It was my last time to be with him. The last chance I’d get to touch him, talk to him, or kiss him. I asked him if he remembered all the time we spent together. 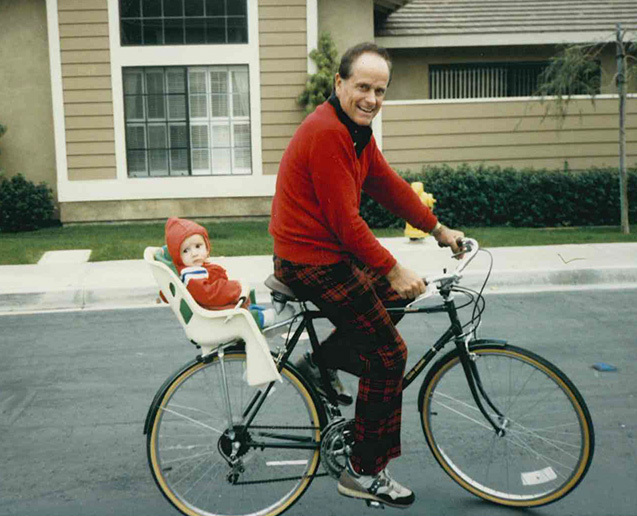 When he taught me how to ride a bike. When he taught me how to be a salesperson at age 9 by instructing me to knock on neighbor’s doors and offer to take out their trash for a small tip. When we’d go to Pizza Port or Family Fun Center and he’d make me do pushups for 2 and 1/2 cents a pushup to get the change to play the arcade games. Whenever I was sick, he would stay by my bed and give me medicine and lay a warm towel on my head and get a bucket for me in case I needed to throw up. When I was injured, he’d sleep in my hospital room next to me. Jim was truly the best man I’ve ever known. We spent so much time together. Each day I think about him and wonder, and I still struggle to comprehend the depth of his love, which burned through stronger than the sun. He had me very late in life, and my parents were never married, but I never felt lonely because he was always there. In the mornings he would sing to me “Oh, Danny boy, the pipes, the pipes are calling… From glen to glen, and down the mountain side.” He would always find new ways of expressing his love. He’ll never, ever be replaced and when he answered God’s call he left an enormous empty void which can never be filled. This has been the most challenging week of my life to get through. I would give anything just to have him back. Just to talk to him again. Just to hear his warm voice over the phone and hear him say “Hey, buddy!” He would always call several times a week just to say hi and see how I was doing. The last time we spoke, it didn’t feel like it would be the last time. And so we didn’t take the opportunity to talk about anything meaningful. He asked me to stay longer but I had to go. Jim Flood had a gentle heart and he brightened a room with his presence, and he brightened the lives of everyone who knew him. He had a way of putting others at ease. He always wanted to be a light unto others and make them smile. Everything he did was trademark Jim Flood. And he will be so very missed. I feel his absence so sharply. I will never go a day of my life without reminiscing about him and thinking about how much I love him. I’m so proud of him. If you asked me what the nature of love is, I would think of Jim Flood. He had the kind of unconditional love for those around him that was one in a million. With him, it didn’t matter what I would grow up to be, or what political party I wanted to affiliate with, or my religious preference. He would still love me unconditionally and support me no matter what. His voice still lingers in my head and I can hear him sing to me. Thank you again to everyone who has expressed their support to me and my family, and a special thank you to each person been helping me through this week, both friends and family. You know who you are 🙂 It really means so very much to me and I feel so fortunate and thankful to have you in my life.